Before India and England clash for the fifth Test at The Oval, test your knowledge of the ground. England have clinched the Test series against India with a Test in hand. The fifth Test, a dead rubber, will be played at Kennington Oval, London. The Oval, as we know, hosted the first Test on English soil, way back in 1880. Well over a century before that, London and Dartford played a match at Kennington Common, the site on which The Oval was built. Recorded cricket on the ground we currently call The Oval dates back to 1845, went Montpelier took on Clapton. Surrey Club played MCC next year. Since then, The Oval has remained the home for Surrey County Cricket Club through their highs and lows, bearing witness to their record seven consecutive titles in the 1950s. At that point Surrey could probably have beaten most Test sides. Surrey has produced some of the greatest cricketers in the history of cricket. Legends like Jack Hobbs, Alec Bedser, Jim Laker, and Ken Barrington need no introduction, but Surrey also boast of Bobby Abel, Tom Hayward, Bill Lockwood, WW Read, Tom Richardson, Andy Sandham, Peter May, Tony Lock, John Edrich, Alec Stewart, and Graham Thorpe, not to speak of their outstanding leader Stuart Surridge. 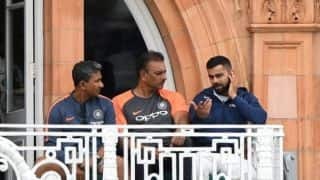 The Oval has also witnessed several iconic Tests, the “pre-Ashes” Tests of 1880 and 1882; the Ashes Tests of 1890, 1902, 1926, 1938, and 1968; the Don Bradman-Bill Ponsford show of 1934; Steve Waugh’s hundred on a leg in 2001; Hashim Amla’s triple-hundred in 2012; Devon Malcolm’s 1994 spell and Michael Holding’s devastation in 1976; New Zealand’s famous win in 1999; and India (1971), Pakistan (1954), and Sri Lanka’s (1998) first Test wins on English soil. How well do you know The Oval? Take our quiz and find out! Which distinctive feature at the Vauxhall End has been as good as synonymous to The Oval since its inception? The Oval Test of 1902 is among the greatest in history. Who, according to folklore, forced to return to work after lunch on the dramatic final day, eventually deciding to give up his job as a result to switch to another profession? India famously won their first Test on English soil in 1971, at The Oval. 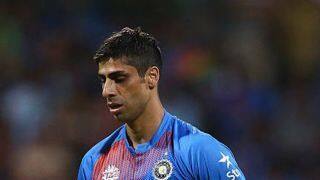 Which cricketer, born in Byculla, Bombay, opened batting for England in that Test? The Oval hosted the first Test on English soil, back in 1880. Which member of the English side in that Test passed away a fortnight after the Test? Who, after hitting two opposition batsmen, was “wanted for assault and battery” — albeit not seriously — in the first ever World Cup match at The Oval? The Oval was also a popular football ground, hosting 22 of the first 24 FA Cup finals. Who won the inaugural FA Cup final, in 1871-72, at the ground? Who took a hat-trick to conclude the 100th Test played at The Oval? 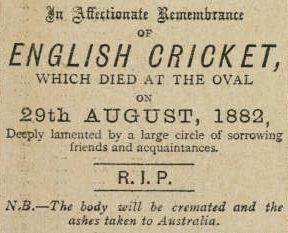 In the aftermath of the 1882 Test, who ran the famous obituary that ended with “the body will be cremated and the ashes taken to Australia”? The Oval currently bears the name of Kia Motors, sponsors of Surrey County Cricket Club. What was their previous name? Following heavy rain on the fifth day of the 1968 Ashes Test at The Oval, play was as good as abandoned before England captain Ray Illingworth did something that ensured resumption of cricket. Derek Underwood won the Test for England with six minutes to spare. What did Illingworth do? Leaderboard: How well do you know The Oval?